Rev. Dr. Spencer Lamar Booker, DMin. a native of Memphis, Tennessee, born on May 15th to the parents of The Rev. Benjamin Roosevelt Booker, Sr. (Retired Presiding Elder) and Mother Roxey Anna Booker Walton. He is the seventh child of this union. He was educated in the public schools of Memphis, Tennessee. Pastor Booker graduated May 1987 from Morris Brown College in Atlanta, Georgia with a Bachelor of Arts Degree in Political Science & Philosophy. He received his Master of Divinity degree May 1991 from Turner Theological Seminary where he majored in Christian Education at the Interdenominational Theological Center in Atlanta. He has matriculated at the United Theological Seminary in Dayton Ohio, working toward his Doctorate of Ministry degree. In June 1998 he received an Honorary Doctor of Divinity degree from the Emmanuel Bible Theological Seminary in Macon, Georgia because of his humanitarian thrust in developing a faith-based community outreach center for the citizens of the community. On May 11, 2018, Pastor Booker was conferred the Doctor of Ministry Degree from Payne Theological Seminary, Wilberforce, Ohio. His dissertation is entitled "The Black Church as Advocate for Families and Communities Against Police Killing of Unarmed Black Men." Pastor Booker has traveled nationally and internationally. 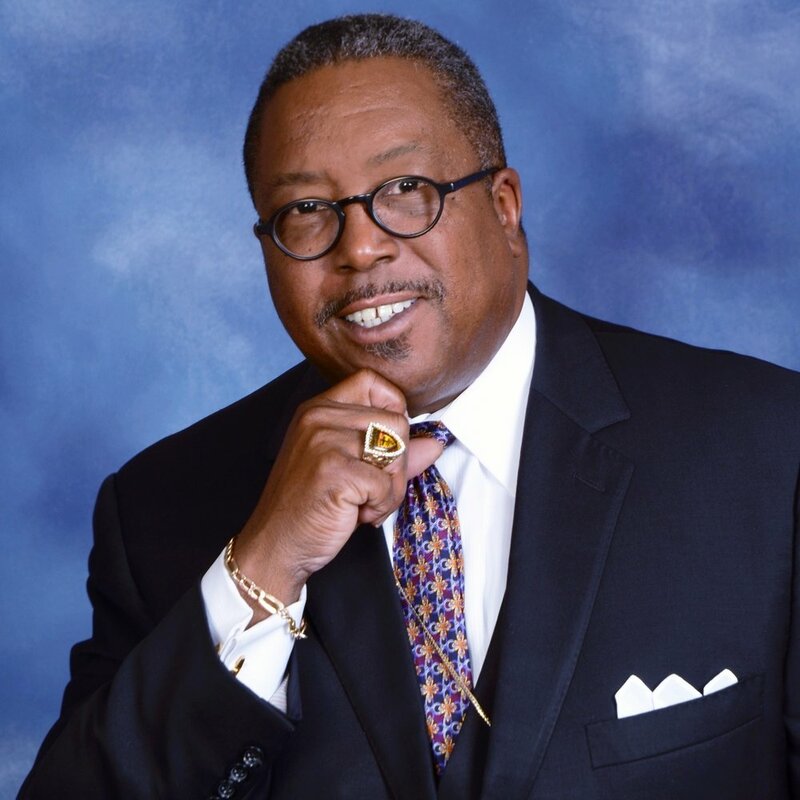 He has served nationally as a Fellow of the Congress of National Black Churches where he traveled to metropolitan cities seeking models for Economic Development for bleak communities in Atlanta. Also, he traveled internationally as a missionary. His missionary assignment took him to South Africa where he was instrumental in instructing citizens how to vote during the first democratic election. His second visit was during the Centennial Celebration of the African Methodist Episcopal Church where he joined thousands in a celebration of religious freedom in South Africa. He visited the Holy Land where he preached on The Sea of Galilee and reconfirmed his baptism in The Jordan River. Pastor Booker was called to preach at the age of 17. He's a Licensed and Ordained Itinerant Elder of the African Methodist Episcopal Church. He has 35 years of Pastoral experience in Tennessee, Georgia and Missouri. He has served as the Connectional Vice-President of the Richard Allen Youth Council of the A.M.E. Church. He was elected Delegate-Alternate Delegate respectively to the General Conference of the A.M.E. Church since 1996. Pastor Booker is a Church Builder and People Builder for the Kingdom of God. At St .James, Monticello, Ga., he led the parishioners to erect a state of the art Family Life Center. At New Grant, East Point, GA., the church facility was gutted out and completely renovated. Several ministries were implemented. Over 400 souls were converted and added to the church. Pastor Booker implemented a radio broadcast entitled, "The Moments of Inspiration Broadcast." He is CEO of Rehoboth Ministries, Inc., where several outreached ministries were developed and implemented. Pastor Booker was the coordinator of City-Wide Safety Summer Initiative in partnership with the East Point Police Department with four satellite sites throughout the city to provide a safe haven for the youth during the summer season. Pastor Booker served as the Lead Chaplain of the East Point Police Department and was appointed to the East Point Housing Authority Board. On November 3, 2009, in Los Angeles, California, Right Reverend T. Larry Kirkland, the Presiding Bishop of the 5th Episcopal District of the AME Church appointed Pastor Booker to the Pastoral Charge of Bethel African Methodist Episcopal Church, Kansas City, Missouri. In addition to his pastoral appointment, Pastor Booker served on the board of trustees, the board of examiners, and the treasurer of the Midwest Annual Conference. During his tenure at Bethel, Pastor Booker led Bethel into New Visions and the possibilities of God's grace and provisions. Under his leadership a Spiritual Renaissance took place in the lives of the parishioners. He established a Centennial Renovation Program in which Phase I was completed with a renovated sanctuary. He led the parishioner in the first step of acquiring all the remaining lots across from the church for a future multi-ministry center. A Media Ministry was established with The "Moments of Inspiration" Radio Broadcast and an internet online site to view Worship Celebrations. He coordinated the First City-Wide Martin Luther King, Jr., Youth Parade. He established the Bethel Buck O'Neil Home for Boys where six to eight boys will be housed, nurtured, tutored and trained to become productive citizens. Pastor Booker served as President of The Methodist Ministry Fellowship of Greater Kansas City. On November 3, 2013, Pastor Booker resumed the Pastoral Charge of St. Paul A.M.E. Church, St. Louis, Missouri, the Mother Church of African Methodism west of the Mississippi River. Pastor Booker has a 20/20 Vision entitled "Networking to meet the needs of ALL people through Jesus Christ our Lord." (Matthew 28:19-20 Luke 4:18-19) On July 15, 2017, Pastor Booker led a major renovation of the physical plant was dedicated to the Glory of God. Since the historic rededication of St. Paul's sanctuary, Bishop Clement W. Fugh, the Presiding Bishop of the 5th Episcopal District of the AME Church has reassigned Pastor Booker to continue the vision he established upon his initial appointment. The Book is opened for what God will perform. Eyes have not seen, nor ears heard, nor has it entered the hearts the bountiful blessings God has in store for St Paul, St Louis. "Ministry is my life, my life is my ministry, God called me, and God can depend on me!" He is married to Lady Gail G. Booker and has two sons Daeryl "Scooter" and Nicholas Lamar who are professionals and accomplished musicians.